Nobuteru's history as an artist started in a rather humble way. Before his career in animation ever took off, he was working in a simple government job, and was no more than a fan of anime himself. While attending an anime convention, Nobuteru had the chance to speak with an animator who encouraged him to pursue the field of work, and he decided from that point that he too would be an animator. Nobuteru's first projects would be doujinshi, self-published manga of an amateur level, which he worked on under the pen name The Man In The High Castle. During this time he says he looked to other anime and manga as influence for his work. With his style established and a small name made for himself, he was finally able to secure a position as a part-time animator at Studio Min and DAST, where he worked on Megazone 23. With his foot in the animation industry door, Nobuteru's career grew quickly, with character design role being handed to him in 1989 for the anime movie Five Star Stories. His industry options expanded further to include commissions for video game conceptual design, with 1995 marking his first role as character designer for the Japan-only release of Seiken Densetsu 3 (equivalently: Secret of Mana 2). 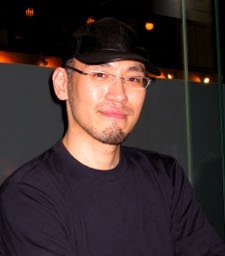 Gamers probably know him best for the vast number of character designs he provided for Chrono Cross several years later, as well as following titles in the Mana series.